There are many different reasons that individuals in Florida decide that getting a divorce is most appropriate. 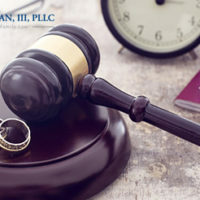 One of the best ways to protect yourself and to be clear about all that is involved in filing for divorce in Florida is to consult with a Tampa family lawyer as soon as possible after you have made your decision to separate or get divorced. Some of the most critical issues often decided in a Florida divorce involve child custody, child support, spousal support, and division of property. When you have a Tampa family attorney who has handled cases like yours before, you will have a better understanding of what to expect as the case goes forward. One of the biggest aspects influencing whether or not a couple will stay together has to do with money. This situation can also be amplified by differing expectations between the wife and a husband. Since marriage is a social institution, both parties in the couple will have expectations about what each partner is responsible for once they enter into it. Over time, these expectations can change and this is particularly true if one partner works inside the house but the other does not. For example, the party who stays at home may be responsible for a greater share of household chores. If either party, however, feels that not enough contributions are being made on the other party’s behalf, this can lead to tension and resentment and ultimately getting divorced in Florida. What Role Does Division of Labor Play in Your Marriage? Those couples who got married prior to 1974, according to a recent study, identified that their more traditional views about division of labor within the household could put them at greater risk of getting a divorce, if it was perceived that the wife was not contributing enough in terms of household chores. Division of labor is something that should be discussed comprehensively between both parties prior to getting married. If both parties are on the same page and have reasonable expectations about work done inside the home, then there are is less of a chance that they will argue about these responsibilities after getting married. Far too many couples are more excited about the fun aspects of planning a wedding and try to avoid speaking about subjects that can be difficult, such as past debts, how money will be handled, or household chores will be divided. These critical issues, however, can unfold and make for big problems over the day to day life of a couple after being married for even a short period of time. This is why it is extremely valuable to have this conversation upfront and to avoid potential arguments. When both parties are working outside the home, it can be challenging to determine who will be more responsible for house work or for caring for the children. It may be an opportunity for both parties to discuss bringing in outside help in order to support both the husband and the wife and to ensure that the necessary work gets done. When one party feels as though that all of the responsibility is falling on him or her, he or she may ultimately begin to resent their spouse and arguments may ensue. Over the course of a marriage, one person’s ability to handle household work and childcare may become exponentially more difficult as further complicating factors are added to the situation. For example, a wife who chooses to stay home and raise the children may have less stress while only one child is in the house, but having three or four children or also caring for an aging parent or a child with special needs can add to his or her stress levels significantly. This is why both parties should be open to discussing how their needs have evolved and how additional support can assist them through these more difficult times. In the event that you and your spouse have attempted to work things out but been unsuccessful in doing so, you may wish to consult with a Tampa family lawyer about the situation. A Tampa family lawyer can tell you more about your options and how to best protect yourself going forward, if you do decide to file for a divorce.